Our firm recently defended the sellers of a house located in Westchester County. When the property was originally inspected by the buyers, prior to a contact being entered into, a rodent infestation was discovered in the attic of the house. The buyers and sellers agreed that the infestation would be remedied prior to the closing. Our client hired an exterminator, who removed the offending creatures, and sealed off the access point through which they had entered the attic of the house. Several days prior to closing, a “walk-through” was conducted. For inexperienced buyers, a walk-through usually is scheduled immediately before the closing. The purpose of a walk through is for the buyers to check the condition of the house and appliances, and make sure that the sellers have performed any and all repairs, such as re-painting, replacement of broken appliances, or, in the case we discussed, removal of any unauthorized animals residing at the premises. At the time of the walk-through in question, no rodents were seen by the buyers, and the closing occurred as scheduled. 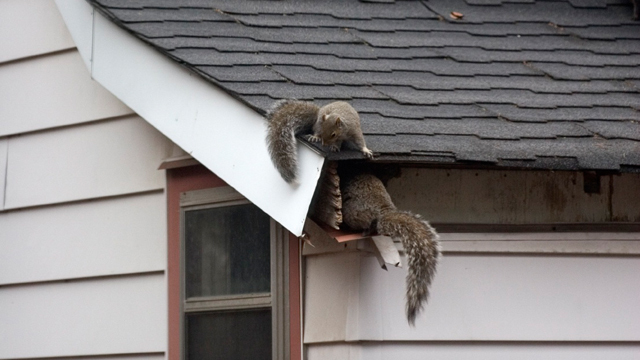 A few months after the closing, the buyers alleged that they discovered a “new” rodent infestation in another part of the attic. Of course, it is beyond anyone’s knowledge as to whether these creatures were part of the group discovered at the original inspection, or a new group of animals who took up residence after the closing. The buyers made a demand on the sellers for compensation for damages caused by the creatures (they had chewed through some electrical wires and insulation in the attic), as well the cost of removing them from the attic. Our clients refused, stating that they had complied with the terms of the original Contract of Sale, requiring extermination pre-closing. The buyers then filed a lawsuit in Westchester County Supreme Court for damages. We defended the action on several grounds. The most important legal principle in our client’s defense is called the “merger doctrine.” This is a clause contained in most standard real estate contracts in New York State. The merger doctrine states that by closing and accepting a deed for the property, the buyers are accepting the property “as is,” and waive any claims regarding the condition of the property. If there are any conditions not complied with by the sellers at closing, the buyers have several options. They can refuse to close until the conditions are complied with. Another option is to accept a credit in the amount of the cost of the unperformed repair. For example, if the house was supposed to be painted prior to closing, and was not, the buyers can negotiate a credit in the amount of the cost of the painting at closing. Finally, the buyers and sellers can enter into an additional agreement that will survive closing without one of the attorneys holding money in escrow until completion. If none of these options are executed, the buyers, by closing and accepting the deed, generally waive their right to sue for any repair work not performed by the sellers or any other conditions that may be discovered after closing. In the case that we litigated, none of the above options were raised prior to closing. We argued that our client complied with the terms of the Contract of Sale by hiring a licensed exterminator prior to closing to remediate the infestation and by showing proof of payment of the exterminator at the closing. By closing and accepting the deed, the sellers were subject to the merger clause, under which they waived their right to object to conditions at the property after the closing. There are several exceptions to the merger clause, none of which applied in our case. One would be for the purchase of a new home from the original builder. It is fairly common for the purchaser of a new home to receive a warranty from the builder of the house. Such warranties last of a period of time ranging from two to six years, and cover conditions which may arise after the closing. Another exception would be if the parties agreed in the Contract of Sale that a condition would survive closing. These are rare, because, in New York State, once the property is sold, the sellers usually have no post-closing liability. If the parties agree in writing, however, the sellers may remain liable after title passes. As none of these exceptions applied to our client’s situation, the Judge granted our firm’s motion and dismissed the case against our client. Although the situation was unfortunate, the Judge agreed that our clients had no liability for conditions after the property changed hands. To rule otherwise would be to permit lawsuits against sellers for conditions arising after property as sold, which would create an endless amount of post-closing litigation, overwhelming the Court system and causing a chilling effect on the real estate market as sellers may be unwilling to enter transactions if post-closing liability could result. Our firm welcomes all inquiries from buyers and sellers of real property located in Westchester County and the New York metropolitan area, and wishes all of our readers a peaceful holiday season.